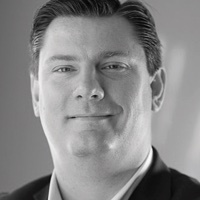 Michael is currently the President and CEO of the Innovation Cluster (www.innovationcluster.ca) which supports innovative entrepreneurs in the formation and growth of their technology-driven companies. Focusing on four key sectors, Cleantech, Agriculture Tech, Healthcare and Digital technology, the Innovation Cluster’s dynamic programming ensures that startups find their best path to market. The Innovation Cluster operates The Cube, Peterborough’s two full service business incubators located at Trent University and in downtown Peterborough. With a strong focus on clean technology, the Innovation Cluster works closely with Fleming College’s Centre for Alternative Wastewater Treatment (CAWT) and recently launched the Trent Makerspace located at Trent University, a world-class lab facility for clean-tech companies to produce, test and commercialize IP based biotechnology products. Michael Skinner is also the Chair of CAWT’s Advisory Board and the former Chief Strategy Officer (2015 – 2017) of Rainmaker Worldwide. Michael is also the 2011 Peterborough Chamber of Commerce Business Citizen of the Year and is the 2017 inductee into the Peterborough, Business Hall of Fame. Previously, Michael founded Operitel Corporation, a learning software development company that he expanded worldwide. In 2006, Profit Magazine recognized Operitel as one of Canada’s hottest companies and then in 2008 as one of Canada’s fastest growing companies. Operitel has also won the following Peterborough Chamber of Commerce Awards; Entrepreneurial Spirit Award in 2006, Employer of the Year in 2009 and again in 2012. In 2011, Michael had a success exit with Operitel being acquired by OpenText Corporation, Canada’s largest software company. Michael co-authoring a chapter found in a “Plan to Learn: Case studies in eLearning Project Management” and “eLearning Project Management: Canadian Perspective” as well as many other whitepapers. Past Co-chair of the Trent University Business Council (2013 – 2015).